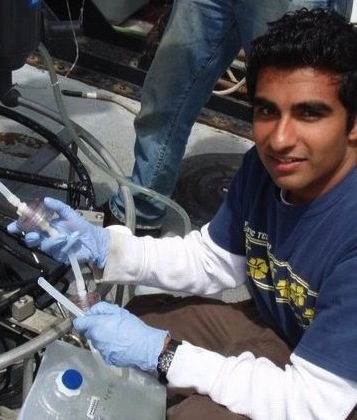 Hi – I’m Rohan and I adore marine bacteria. Bacteria in the ocean? Now I know that sounds strange. And that’s the first thing I thought too. Then I was told that there are roughly five million bacteria in a teaspoon of seawater, and ten times as many viruses. There are also millions of different types or species of bacteria in the world’s oceans. If you were to lay all of the bacteria and viruses end to end, they would span farther than the nearest 60 galaxies – give or take a couple of galaxies. 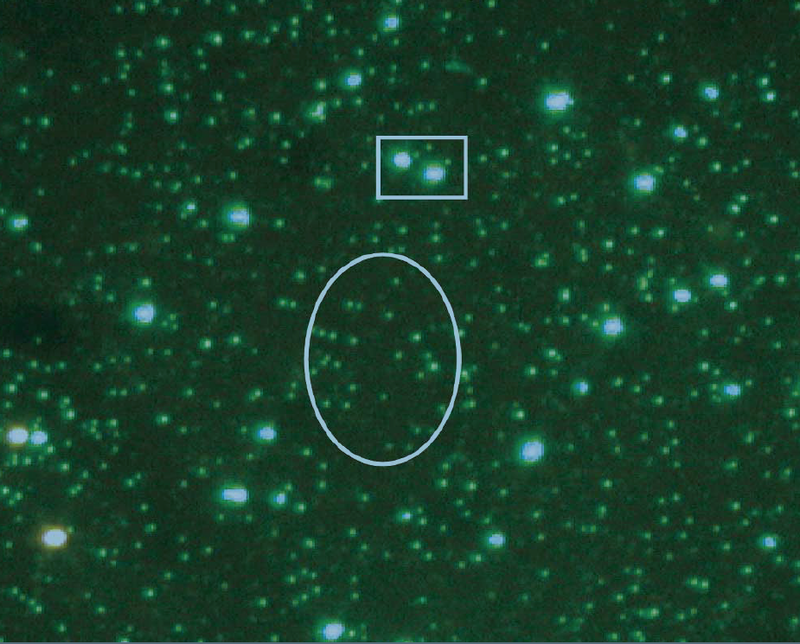 On top of that, there are vastly many more microbes on Earth than there are stars in the sky. Actually if you look in the microscope at a seawater sample you’d see something very similar to the night’s sky (only a lot more dense). After hearing all of this, I thought to myself “Well Rohan, I guess I’m never going in the ocean again.” But turns out that >99.9% of these bacteria are totally harmless and don’t cause any diseases. Makes sense since we swim in the ocean every day and rarely ever get sick. Actually, marine microbes are absolutely essential to life and run many of the major chemical cycles on the planet. For example, about half of the oxygen on the planet comes from marine microbes known as phytoplankton that perform photosynthesis just like plants. So every other breath you take comes from a microbe in the ocean! What other processes are performed by marine microbes? That’s the big problem – we don’t know exactly. That’s because the vast majority of environmental microbes simply can not be isolated and grown in the lab. It’s such a major problem that environmental microbiologists have dramatically dubbed it “The Great Plate Count Anomaly”, referring to that fact that we can see a huge amount of microorganisms in the microscope, but can’t grow them on Petri plates. So how do we figure out what’s going on with these microbes if we can’t directly study them in the lab? That’s where I come in. First, I collect the microbes in the field by filtering seawater through water filters that are typically meant to remove bacteria from water. Instead of tossing the filter, the DNA is extracted from the cells by popping them open using a little detergent and some vigorous shaking with glass beads. Next, the exact code of their DNA is determined using a technique called sequencing. From the microbial DNA sequence, we can determine genes involved in all different types of processes – namely those important to chemical cycles important to life on the planet. We know which genes are important in chemical cycling based on those microbes that we can grow in the lab for experiments. So the DNA sequences from oceanic microbes that can’t be grown in the lab are compared to those that can be grown in the lab. Comparing these sequences requires a good amount of computing. And since there are A LOT of microbes and types of microbes in the ocean, we need A LOT of sequence information to get a good grasp on what they’re doing. Multiply that by the huge number of microbes and microbial types in the ocean and you need a massive amount of computing power. 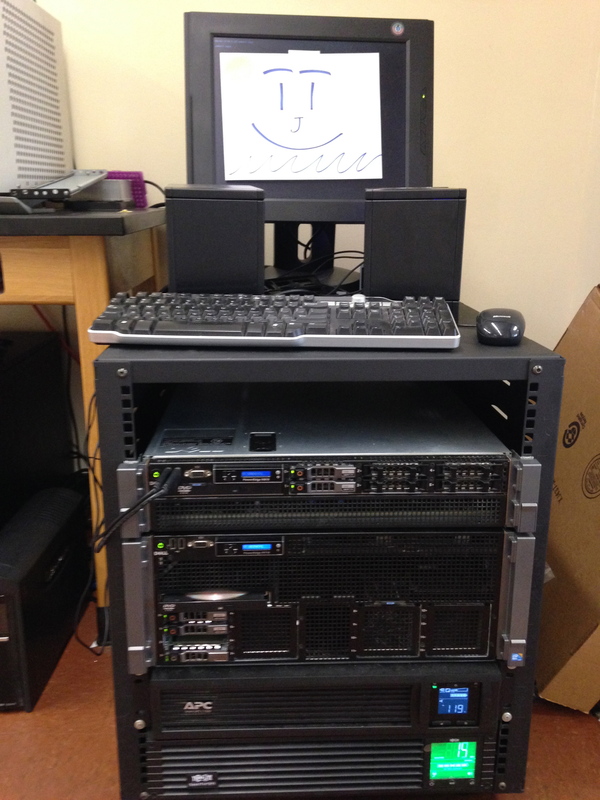 To do that, I run a large computer cluster similar to companies that handle huge amounts of data like Google, Microsoft, and Apple. This computer cluster is made up of hundreds of smaller computers equivalent to your home computer – each can only match one sequence at a time, but together they can process a huge amount of microbial data. So far, I have sequences from around the globe including the Indian Ocean, North Atlantic, and even off the coast of Southern California. Right now I’m processing the data and identifying new microbial species and the chemical processes that they’re running. 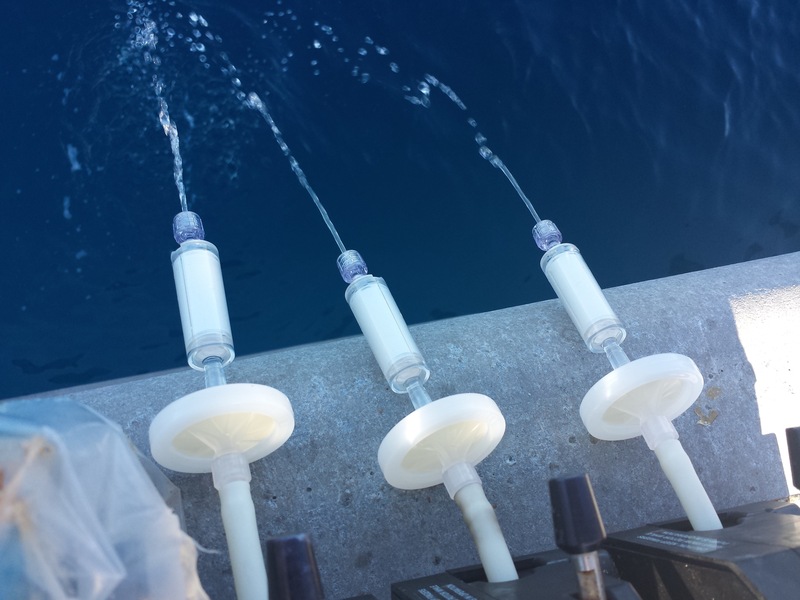 In the meantime, if you’re interested in learning more about microbes and sequencing in the ocean you can check out this TED talk and the Ocean Sampling Day. This entry was posted in Wrigley Institute on October 29, 2014 by Jessica Dutton.